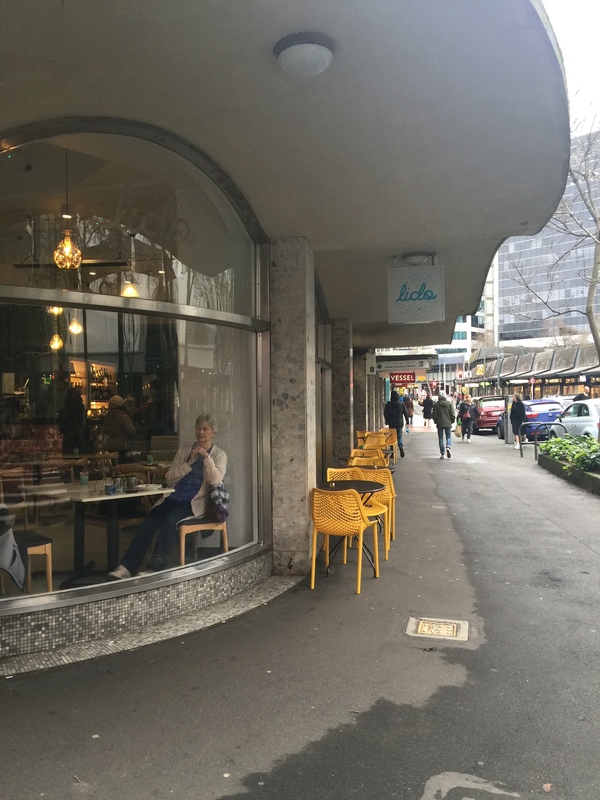 Given Lido has just reopened post earthquake strengthening, they killed two birds with one stone and took the opportunity to do a beautiful soft refurb. 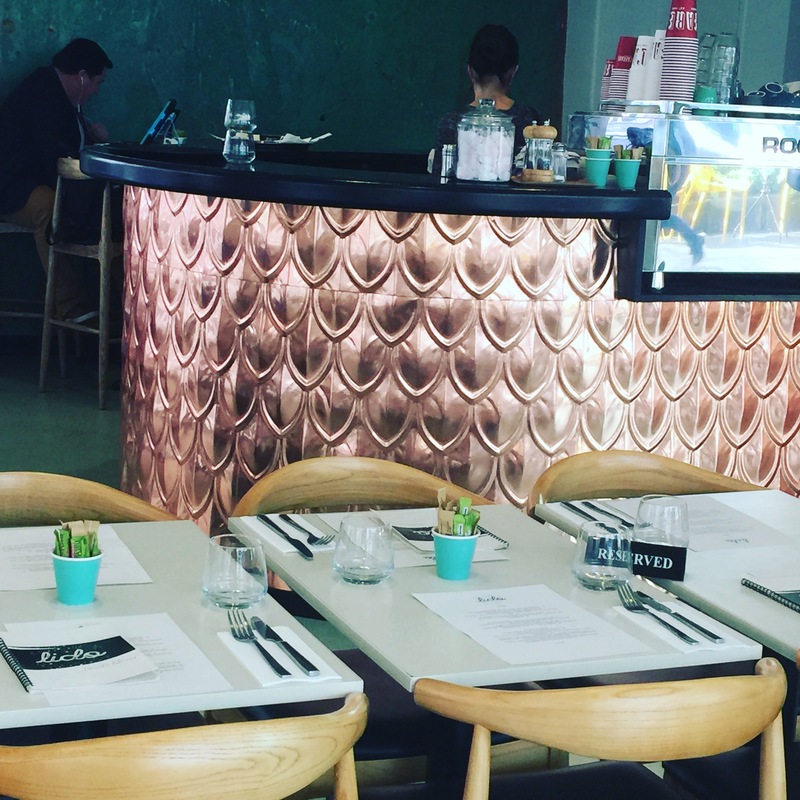 The exterior front counter is covered in a gorgeous, pink copper metal and the walls are painted a peaceful turquoise with matching coloured booth seating in place. They’ve also had a change of ownership, so I thought it was worthy to write a new blog. Today I lunched with fellow hip replacement/foodie/insta/recently made redundant ‘sista’. It was fun to chat about the direction our wonderful lives were heading. Of course we got chatting and didn’t peruse the menu first although sista confessed she’d snuck in on the weekend with her hubby, so she had one up on me. 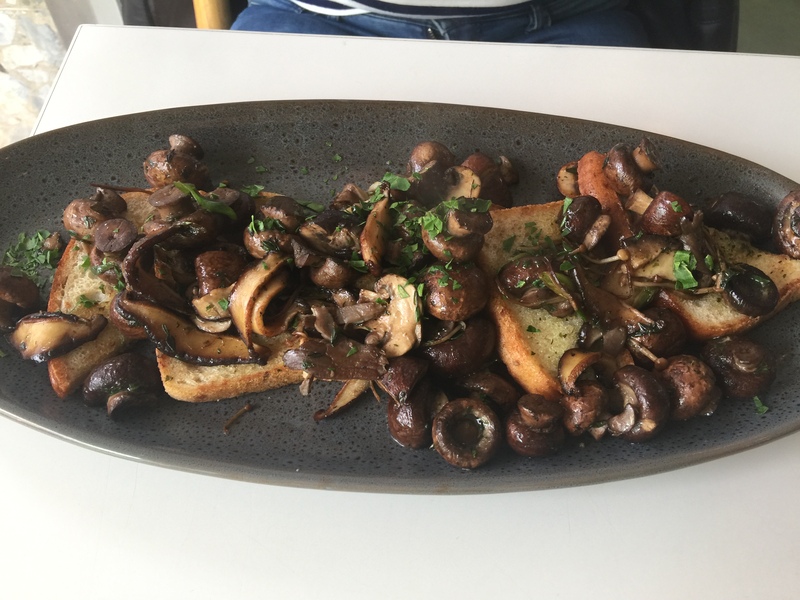 She’d gotten food envy so she had to have the mixed mushrooms on GF toast with spring onion , parsley and thyme. They now serve coconut milk lattes, which I indulged in recently. This immediately scored them a 10 in the coffee department. I’ve never been a big fan of their menu in the past and even today I struggled. All I could see were all meals with bread and high grain/carb options. It’s great they offer V and GF options but I prefer to not choose any bread at all with a meal if I can help it. As you well know by now. 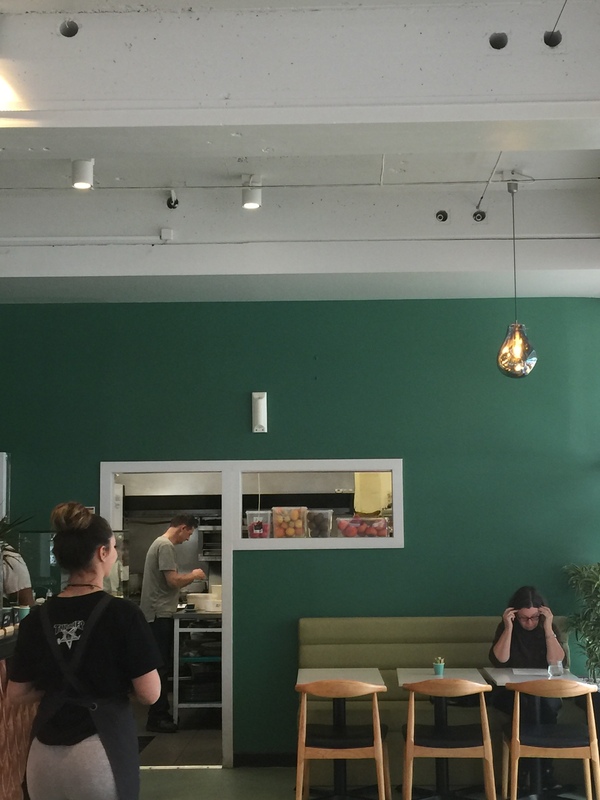 I’d snuck in a gorgeous morning tea at Tomboy so I wasn’t overly hungry either. My bad. 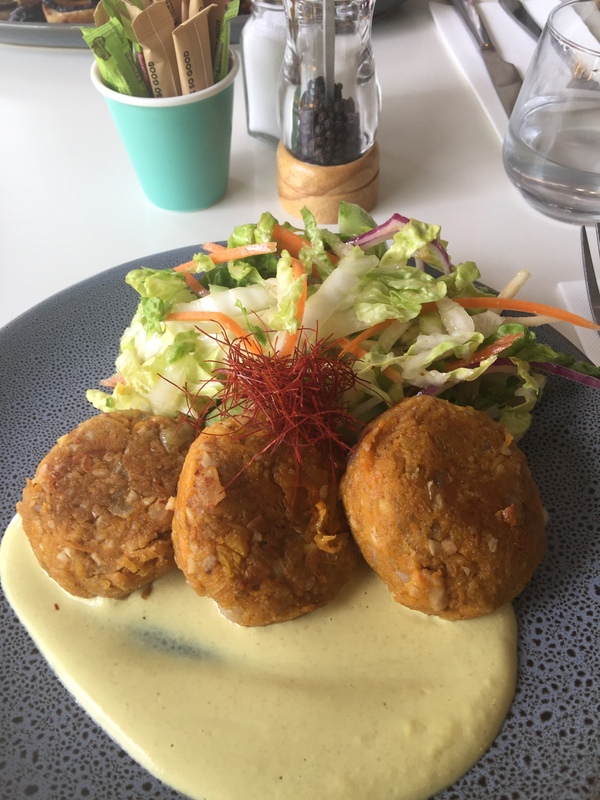 I finally settled on the pumpkin/cashew fritters with laksa dip and Malay salad. The fritters themselves were really tasty and I surprised myself with this choice. I left the laksa on the side and just used a little of it. The salad was bland and nothing really Malay about it. Maybe I was supposed to pour the laksa over that as well, but that would have been too rich. 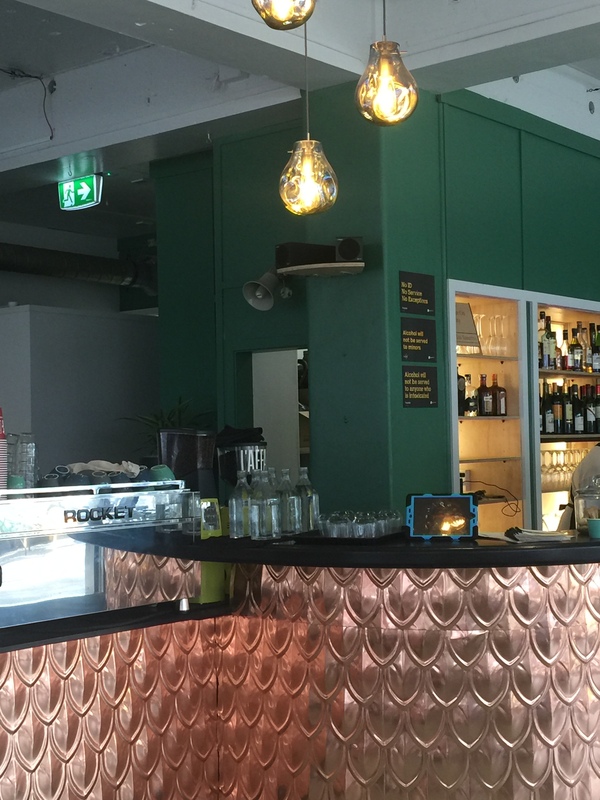 Other options were flatbread pizza with halloumi, corn tortillas, a mezze flatbread plate which did sound delish but of course had bread, a lemongrass chicken salad with brown rice?, omelette, kedgeree, an egg dish, avocado bowl, leek gnocchi or soup. The ambiance here has definitely changed. I’m not sure what the old Lido fans think? This was such a diehard Wellington institution. I love the new décor but being honest, I think I prefer the old Lido. I will definitely come back and support it but more from a coffee perspective. I will be open to giving the menu one more shot perhaps. Maybe it’s because I’m more of an all dast/brunch/dinner eater outer than a lunch person? I found this menu to be more lunchy. I just love my own homemade salads full of deliciousness for lunch. Does that make sense? Laters.